ethan walker : Lime is back with a bang! We hit the Tor up at the weekend, along with just about every one else as the place was crowded out, but it was good to catch up with a few people and get stuck into some more boulder action. After watching Simon blast his way up the Weedkiller/Chimes link I managed to get Tumbleweed done. Whether this is still 8A I don't really know, but just really stoked to see the progression! We all decided to then escape the crowds and had a cool few hours at Gardoms, doing a bunch of classic blocs, before another sick carvery with the crew. Hannah getting a good SPOT on Marks! I've been meaning to check out Anston for a good while now so yesterday me and Ed drove on over and ended up having a rad session in the woods. This place is soooo good and with it only being 20 minutes from my house I'll be spending a lot of time there this summer for sure. 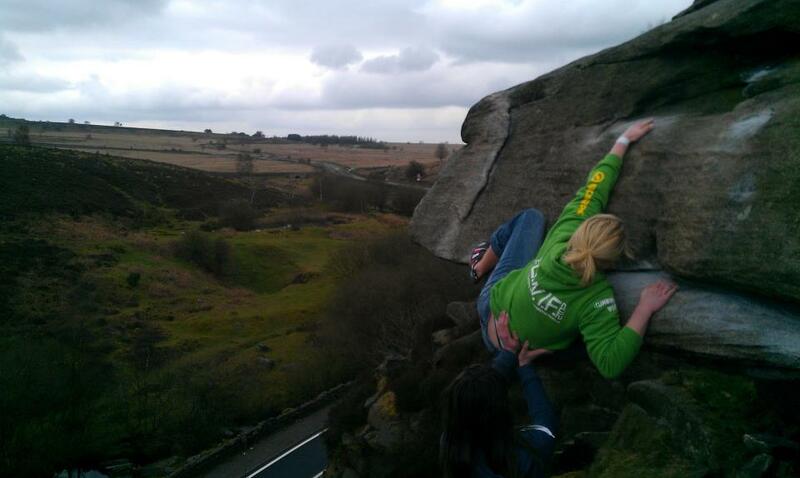 Highlights were us both sending the amazing roof problem, Soul Crusher 7C+ as well as the 8A sit start from the back! Other sends of the day included Bullit 7C, The Pheonix 7C, The Vision 7C, Black Crow 7C+ and a send of the super popular 8A, Dark Art and Quarantine, 8A by Edwardo! We both made pretty good progress on the 8A+ Vanilla Sky as well so we're super keen to get back and try it some more. Anyway we've got loads more video footage from the last week so take a look. Cheers to Nathan for the one just below!